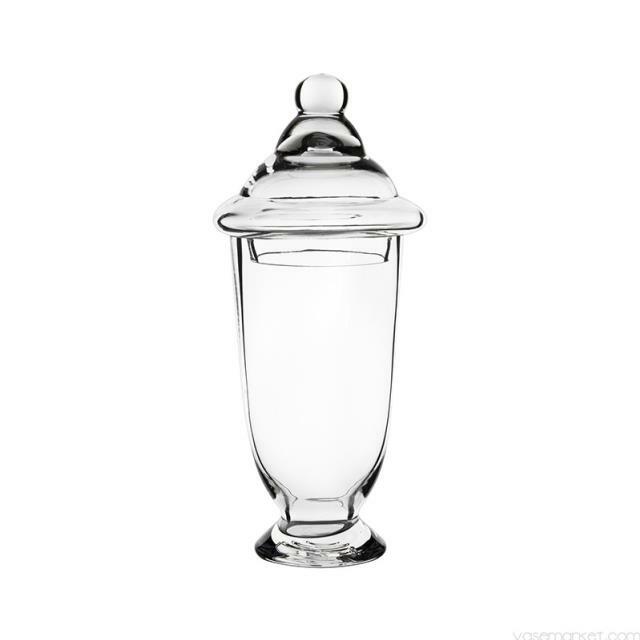 Glass apothecary jar is 18" high with lid. Great for candy buffets or centerpieces. Prices are subject to change. Applicable sales tax, delivery, and other fees are not included in price estimates. * Please call us with any questions you may have about our apothecary jar 18 inch high rentals/sales in State College, serving Central Pennsylvania. Serving State College, Penn State, Altoona, Harrisburg, Williamsport, Bloomsburg, Chambersburg, Allentown, Reading and the entire Central Pennsylvania area with all your wedding, party, special event rental, sales and event planning needs.